I remember the Intel Pentium 4 that took a long times under our hoods and then I upgraded to the next generation, today Intel accelerate the time with its production its like increasing the gear to the next level. 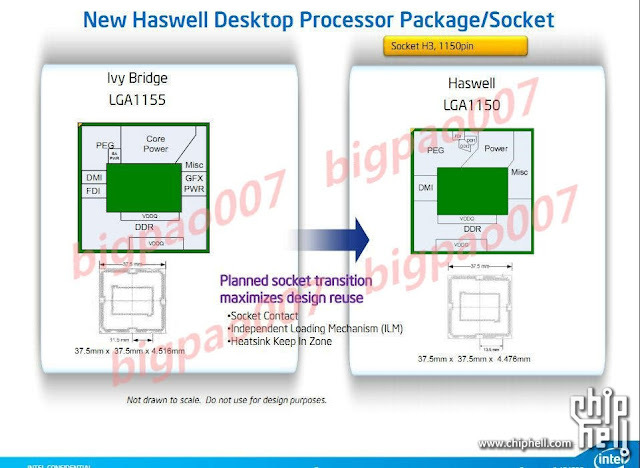 Today Intel left the Ivy Bridge (the next generation CPU with 22nm technology) to the mass production system, and concentrate their eyes to a next-generation architecture code named Haswell, that what was leaked from the Asian tech website Chiphell, in some screnshots with the Lynx Point chipset. The Intel Haswell CPUs will use a totally new architecture with a 22nm process and use the new Socket 1150, including a GT2 or GT1 integrated graphics cores with support of DirectX 11.1, also it will have a configurable TDP technology that enables the CPU to greatly surpass its maximum thermal design power in order to increase its performance when additional cooling is provided (like when used together with an external cooling dock). 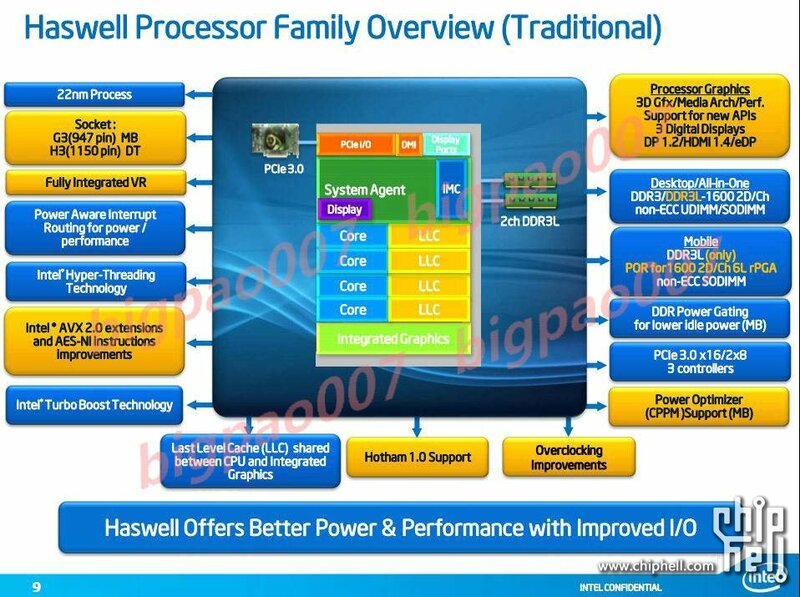 The release date expected to be at the year 2013, Haswell desktop CPUs will feature either two of four processing cores with TDPs of 35, 45, 65 or 95 Watt, and will include a dual-channel DDR3/DDR3L memory controller. Mobile chips will be available in the same dual or quad-core configurations, but the memory controller only supports DDR3L DIMMs and get the more powerful Intel GT3 GPU. 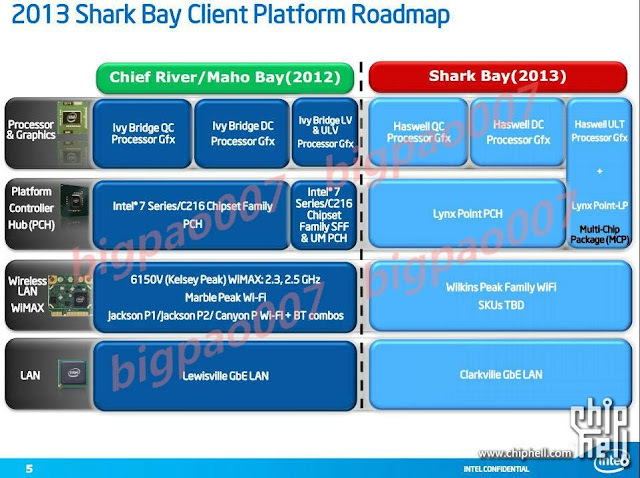 The TDP of Intel's upcoming system-on-a-chip devices will be set at 15W, while the rest of the notebook processors are rated as 37, 47 or 57 Watt parts.